The owners of two Maricopa self-storage facilities attempted to stop the construction of a new 135,000-square-foot indoor storage facility Monday night at the regular meeting of the Maricopa Planning & Zoning Commission. 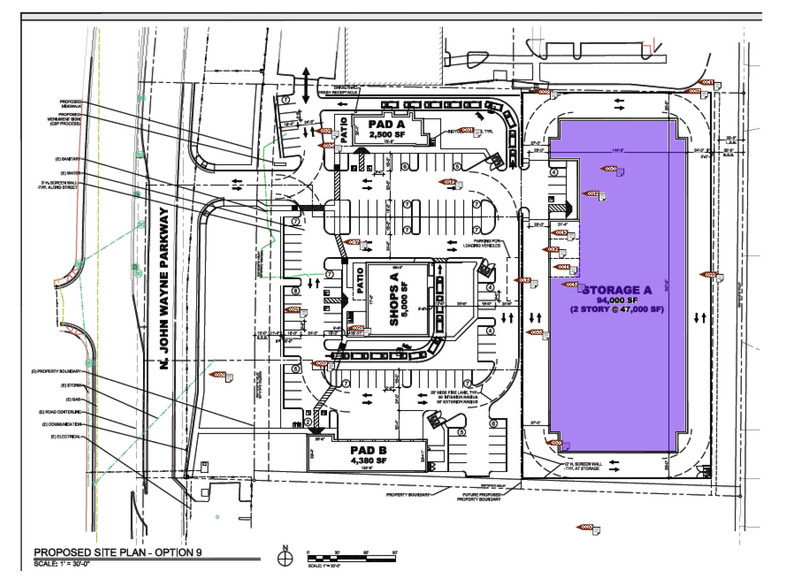 A project summary was presented by the city planning office on behalf of Vertical Designs Studios, representing PH Maricopa LLC, to build a 4.79-acre, indoor self-storage, multi-tenant shop and automotive repair complex at 20215 N. John Wayne Parkway. After the city’s presentation, the owners of already-existing self-storage facilities in the community spoke out in opposition to the proposed construction, mostly based on unneeded competition in the storage business. Storage unit owners Ted Williams and Michael Ransom each told the commissioners they currently have 20 to 30 percent vacancies in their facilities. They warned the commissioners that the addition of 135,000 more square feet of storage will likely drive someone out of business and the city would be left with abandoned storage facilities to deal with. “I am struggling with this submission for several reasons,” Ransom said. He told commissioners the storage facility he owns, Arizona Storage Company, was built in 2010 and managed by a national management company. The facility struggled to make money. “And after four years they could not meet their financial obligations,” he said, adding they closed the facility in 2014. It was purchased by another company, but they re-sold it after just seven months’ ownership. He purchased the facility in May 2015. “We have struggled just to get things stabilized. It is 70,000 square feet,” he said. In Maricopa, according to Ransom, there is 185,000 to 190,000 square feet of self-storage. He said that is enough to take care of the city’s needs. While presenting the storage unit needs of Maricopa to the commission, Ransom said storage needs are based on the population of a community. He said five to six square feet of storage is needed per capita of population. He then used the population figure of 40,000 people as the population of Maricopa even though the latest population estimated by the city is 52,000. After some discussion, an attorney representing the city of Maricopa had to remind commissioners they are not there to vote on the success or failure of a business plan. It is their duty to make sure the plan is properly zoned and executed. “We as a commission cannot say yes and no, based on what type of business,” said Linda Huggins, commission chair. She explained it is the commission’s duty to make sure the planning and zoning is correct and not whether the business idea is a good one or not. The commission approved the 4.78-acre development 6-0 with one member not in attendance. The commission also approved the preliminary plat of the Anderson Farms Phase 1A subdivision. It is on land that is part of Anderson Palmisano Farms. The plan will include 80 lots on about 20 acres south of the corner of Bowlin Road and Hartman Road. The plat is a preliminary plan and more will be presented on the subdivision during the development process.